The Distinguished Service Award is presented to an individual who has made significant contributions to EASFAA through leadership, activities and/or research in financial aid. The Eastern Association of Student Financial Aid Administrators (EASFAA) presented its Distinguished Service Award to Odette (George) Franceskino, of Prospect, director of financial aid at the Quinnipiac University School of Law, at the association’s 50th annual conference, held May 22-25 in Atlantic City. The Distinguished Service Award is presented to an individual who has made significant contributions to EASFAA through leadership, activities and/or research in financial aid. It recognizes service to the association over a period of professional involvement. Franceskino currently serves as vice president of EASFAA. 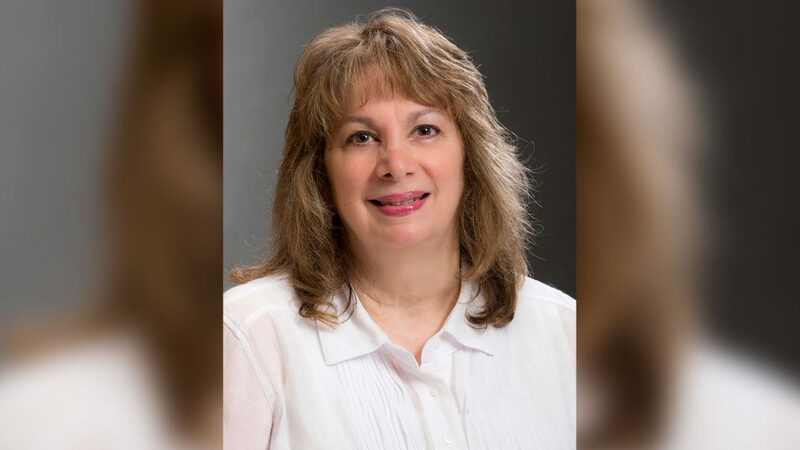 She has previously served as treasurer, EASFAA representative for Connecticut, conference committee co-chair and chair of various other committees. Franceskino, who joined Quinnipiac in 1996, has a MBA from Quinnipiac and a bachelor’s degree from Post University. The EASFAA provides professional development opportunities to help prepare EASFAA members to ethically and competently serve the students, parents and institutions they represent. EASFAA fills the role of providing professional services to both its individual members and state associations.